This is a 2up wax sculpt for EV-9D9's torso, head, and arm. 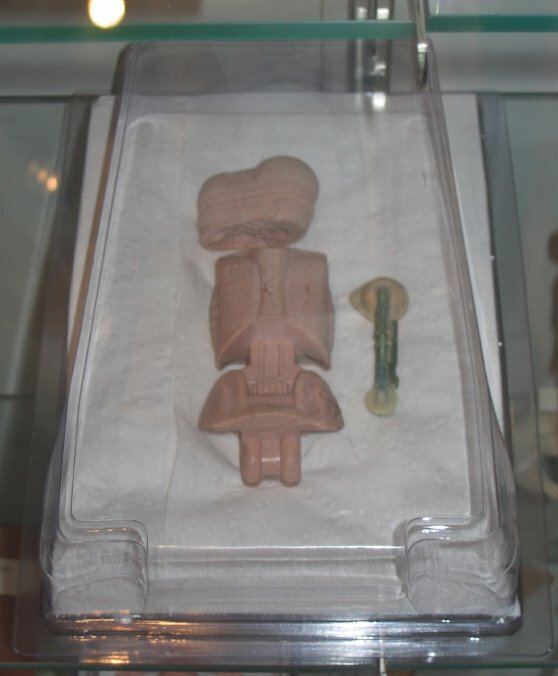 The entire figure was sculpted 2x the size of the actual figure, likely because of the thin, fragile limbs in the EV-9D9 character. 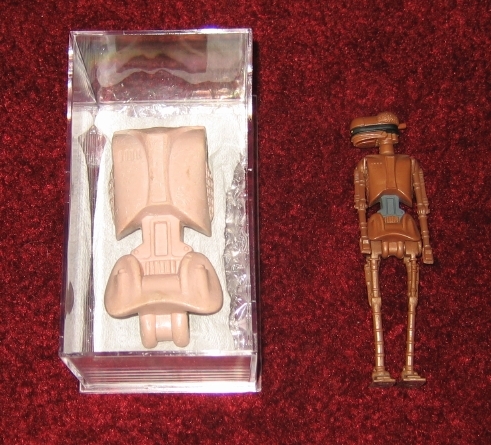 In the second image, the 2up torso is placed next to the production EV-9D9 figure to give the relative scale.